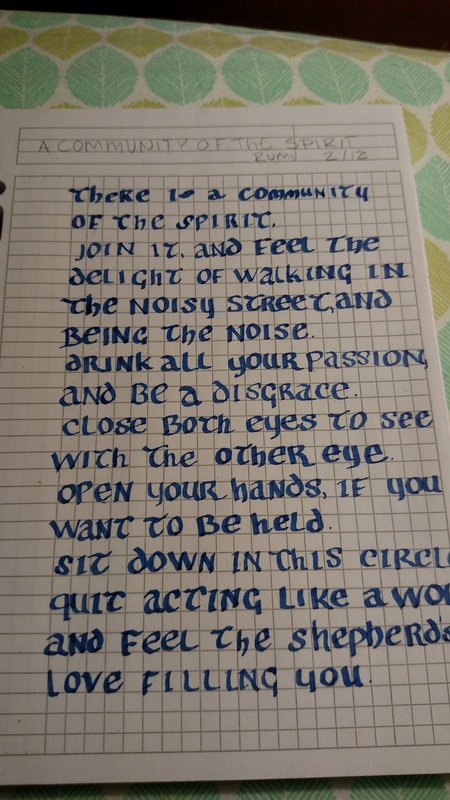 Uncial Capitals – first half of Rumi’s A Community of Spirit – perhaps tomorrow I’ll do the second half, but tonight my arm hurt from this much effort. Really need to work on Ts and Ss. Also Fs. Entirely up for help/critique. I’m playing with a staedtler calligraphy marker and (obviously) graph paper for the sake of practice and trying to remember to keep my letters both straight, even and spaced properly.